The Freshman Connection Immersion Program is a 6-day, one-credit educational experience designed to help incoming freshmen make a smooth transition to college life while developing their leadership potential. The program consists of workshops, group activities and adventure trips that focus on personal development, academics, goal setting, and social network development. Students will gain self-awareness, create lasting friendships and develop a proactive approach to life as they prepare to begin their experience at UW-Eau Claire. During the first three days of the program* students will experience what life is like on campus. They will tour and become familiar with the campus, utilizing meeting rooms, residence halls, dining halls and recreation facilities. The experience will continue with a three-day adventure trip! 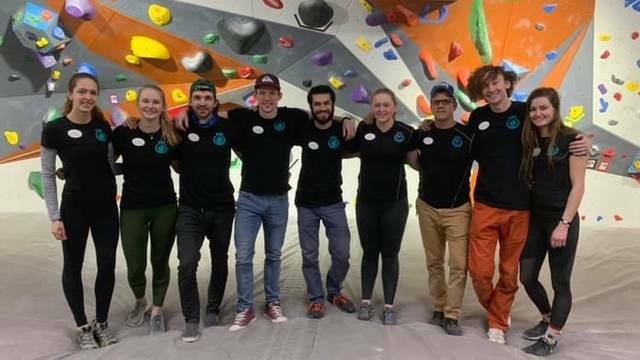 All trips are guided by trained and certified student leaders from the Environmental Adventure Center whose goal is to provide a fun and safe experience for everyone! You will receive one college credit upon successful completion of the program through online reflective coursework. We believe everyone's ability to grow as a leader is based on their ability to grow as a person. To accelerate this growth, students will engage in fast-moving and motivating experiences what will enhance their self-determination and personal effectiveness, and improve interpersonal communication skills. We look forward to sharing these exciting and enriching experiences! *Please note that while on campus for the first three days, the program will take place during the hours of 8:00 a.m. to 11:00 p.m. Outside of those hours, our staff will not be responsible for students. Students will be held accountable to all university housing and campus policies. Students who violate campus policies will be removed from the program and referred to the Dean of Students Office. The adventure trip leaders are fellow Blugold students with extensive training though the Environmental Adventure Center. They are sure to provide an excellent outdoor experience for everyone!